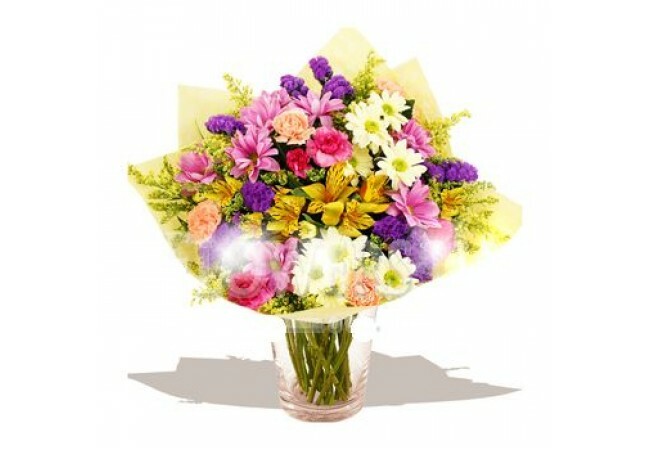 Giving such a wonderful bouquet, you show your desire to make a discreet compliment. Hrizantema- represents loyalty, spiritual purity and clarity of mind. And the language of flowers Alstroemeria is cute and adorable. 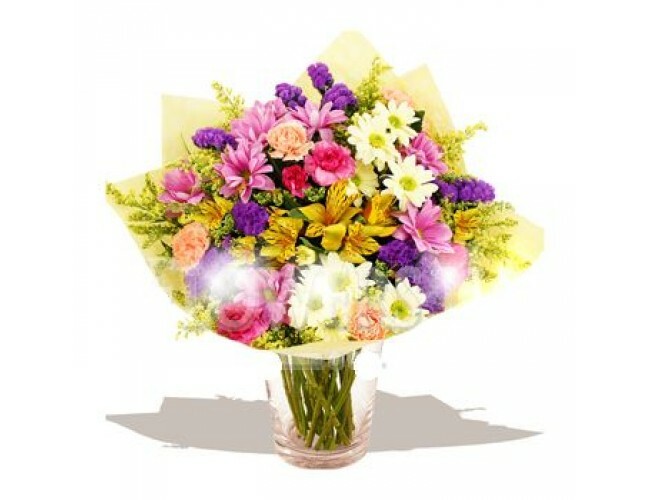 Composition: 5 branches of chamomile chrysanthemum, 6 cornations, 5 branches of statice (Statice is a seasonalflower, in case of absence it can be replaced by chrysanthemum), alstroemeria, greenery, package.